There were two different methods of painting production that were popular in Renaissance Italy. The two areas of these methods were Florence and Venice. 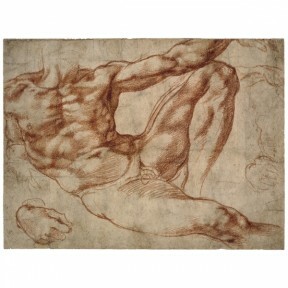 The Florentine style was focused on the design of a work, called disegno. Artists would work first on separate paper or parchment to perfect their design before moving onto the canvas. Design was vital and drawing was the most important element for perfection. 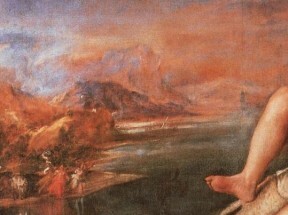 This idea started long before the High Renaissance because “the notion that drawing serves as a foundation for the arts of painting and sculpture had been expressed at least as early as Petrarch.” Disegno was more than just for the perfection in painting but it was the staple for all areas of art in the Renaissance: painting, sculpture, and architecture. In Venice, however, design was not the area of style that focused on the most. It was color and the application of color that was important when creating nature on canvas, the goal for Renaissance artists. Robert Williams, Art, Theory, and Culture in Sixteenth-Century Italy, (New York: Cambridge University Press, 1997), 16. Bruce Cole, Titian and Venetian Paintings: 1450-1590, (Boulder, CO: Westview Press, 1999), 70. Paul Hills, Venetian Colour: Marble, Mosaic, Painting and Glass 1250-1550, (New Haven: Yale University Press, 1999), 216. Cole, Titian and Venetian Paintings: 1450-1590, 70. I have seen this site with the information on Disegno vs. Colorito and would like to reference this material but I can see information for this, could you please help at all? Would you please clarify you question? Thank you.